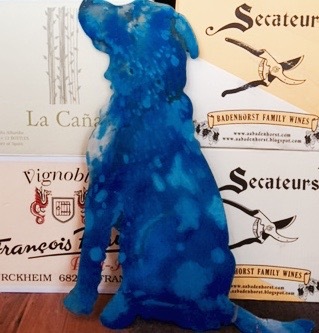 Blue Dog Wine Club is for those wine aficionados interested in learning about distinct new wines each month. Members enjoy three wines delivered to their homes each month, along with a writeup about each of the wines - its region, year, points awarded, and what to expect when you taste. Blue Dog Wine Club membership is currently open to all Pelham residents, however all customers can purchase Wine Club wines at the store. Marco and Vittorio Adriano 2012 Barbaresco Basarin DOCG, Piedmont IT. Pecchenino 2016 Doglian1 San Luigi DOCG, Piedmont, IT. 'The Pecchenino wine estate has been family run for multiple generations dating back to the late 1700’s. The majority of the vineyards are planted with Dolcetto, which takes on elevated DOCG status when cultivated in the commune of Dogliani, as this Dolcetto is. The Wine Spectator gave this wine 91 points and “Smart Buy” designation and wrote: “Black cherry, blackberry, earth and spice aromas and flavors are the hallmarks of this juicy red. Approachable now, with some tannins on the finish. Decant now or cellar short-term. Drink now through 2021.” I love the aromas of fresh, brambly red fruit followed by a good mouthful of bright, concentrated mixed berries. Vietti 2016 Roero Arneis DOCG, Piedmont, IT. The grape here is the Arneis, an almost forgotten grape of the Roero region. Alfredo Currado of the Vietti estate (husband of Luciano Vietti) is thought of as the pioneering father of Arneis and is recognized as the leader in resurrecting the grape 50 years ago. Robert Parker’s Wine Advocate awarded this wine 90+ points. Here is what they said: “The 2016 Roero Arneis offers an irresistible taste profile that is beautifully zesty and fresh. The bouquet exhibits fruit, honeydew melon and a determined layer of salty marine mineral. The wine shines in the glass thanks to its crystalline luminosity. With these warm summer months upon us, this is an excellent and deeply satisfying choice.” You can drink this as an aperitif or with simply prepared veal, pork or chicken.